To say we’ve been inundated with entries for this year’s 30 Under 30 would be an absolute understatement. Yes, we said it last year, and probably the year before… But really this year we have been absolutely blown away – we received over 10 times the number of entries we needed to put the list together and to witness such an outpour of talent was incredible and humbling. Opening our list to development talent for the first time, the competition to make it to the final shortlist was fierce – and frankly quite heartbreaking at times. We’ve done our best to represent every aspect of our increasingly broad and eclectic church: from data analysts to influencers, artists to business developers, product managers to game designers. 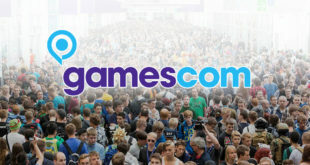 It just remains to congratulate those of you who made it and thank everyone who entered and nominated their peers – you’re the future of the industry and based on everything we’ve read in those entries, that means the UK games industry has a very bright future ahead. Congratulations to you all! 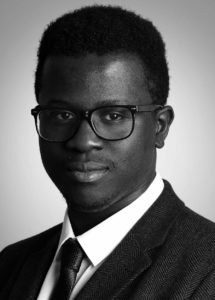 One of two senior key account managers at Click Entertainment, Emmanuel Amardie-Mensah has been promoted three times in the past three years, having joined in 2015. His work has been described as “critical” during Click’s early expansion, successfully opening up regular business with the distributor’s biggest American clients, which culminated in the development and incorporation of Click Entertainment USA. On top of finding a large number of clients for the company, he’s been successfully coaching and developing other sales people, all while completing his Masters in Strategic Marketing & Sales Management. Described by his peers as a “key figure within the team,” he was praised for his maturity, work ethic, tenacity and huge potential. 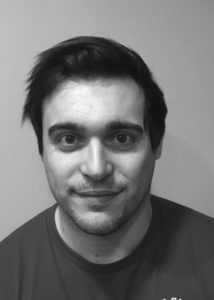 Taking a placement during his university degree, Jason Bentham first started at Jagex in 2010 to work in the player support department. Passionate about RuneScape and the industry, he made his mark and was offered to return at the completion of his degree. 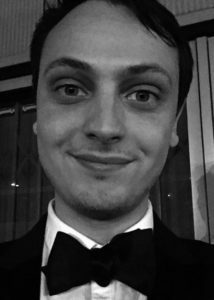 On return, Bentham joined the analytics department as a reports developer and has worked his way through the department to become the head of analytics and data science at the age of 28. Now responsible for a multi-disciplinary department of data analysts, scientists and engineers, he’s contributed to Jagex’s continued growth and has set the vision for the department going forward. Bentham also invests in people via training and mentoring, nurturing future analytical talent in the game industry. Lottie Bevan has been going from strength to strength since her debut in the industry in 2014. 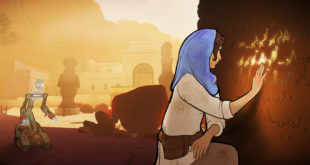 Having previously worked at BeefJack and Failbetter Games, she co-founded indie studio Weather Factory in December 2017. In 2018 she became a BAFTA Breakthrough Brit, won Forward Ladies’ London Start Up of the Year, founded Coven Club (a monthly women in games support meet-up) and launched BAFTA-nominated and commercial success Cultist Simulator. 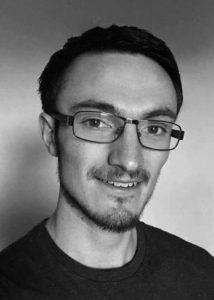 After starting out in the industry as a staff writer at MCV, and working with Games London on the second annual London Games Festival, Alex Calvin joined Steel Media in 2017 to launch B2B site PC Games Insider. 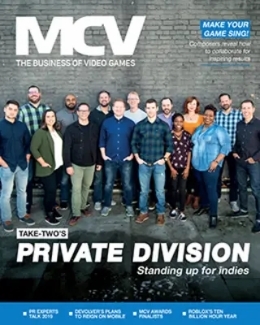 Described as a “leading voice in games business journalism,” Calvin has also brought together a diverse range of voices to discuss the issues of the moment in his work programming content for Steel Media’s PC Connects events. 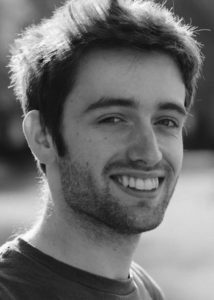 As a freelance writer, Calvin has had bylines in outlets including Eurogamer, Kotaku and The Observer. A supporter, whose identity we’ll protect, has asked us to report that Calvin, at 29, is also a relic. 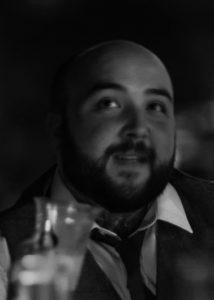 Writer and narrative designer James Chew has made extensive contributions to Sunless Skies, which launched to critical acclaim earlier this year and was praised for its writing. His input ranged all the way from item and shop descriptions to companion storylines, to entire ports. 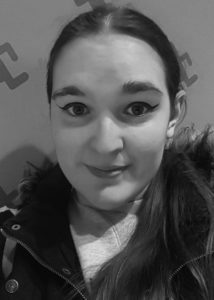 At only 29, Charlotte Cook already has almost ten years experience working in the video games industry, having gained a head start towards the end of university life. 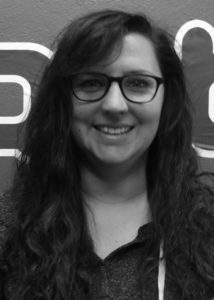 Before joining Genba Digital in 2016, Cook worked as digital distribution account manager at Sega for four years, having found her calling during her time working in digital sales at Take-Two Interactive. She quickly made her mark on the commercial side of the Genba Digital business, thanks to her wealth of industry insight and knack for relationship-building. Now heading up the commercial team, she continues to have a significant influence on how Genba’s digital game distribution business is conducted. 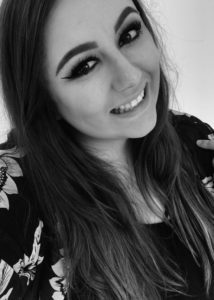 Having just joined Bandai Namco, Gemma Cooper started her career as a volunteer for esports gaming events while studying for her degree. She then worked for Warner Bros, Swipe Right PR and most recently as associate PR manager on Creative Assembly’s Total War. A Women in Games Awards nominee and one of GIBiz’s Top 100 Future Talents, Cooper’s recent successes include contributing to manage the campaign for Total War: Three Kingdoms. Steven Dillon started off as a community intern at Rare, before being promoted to community manager, then community experience designer and now game designer. Since joining the Sea of Thieves studio in July 2017, he has helped get its verified Discord server up and running, worked on TwitchCon 2018 and designed some of the studio’s latest content. Dillon has had quite an inspiring journey to the games industry, having been expelled from secondary school at 14 and then working in retail (including at GAME) for about ten years. Having no grades to go to college, he eventually managed to convince a lecturer to take a chance on him in 2015 and started studying Game Design at Plymouth City College. Now having his dream job, he’s a prime example that it’s never too late to pursue your passion. 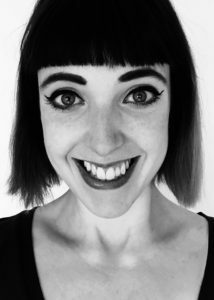 Starting in QA at Team 17, BAFTA member Hollie Emery worked her way up to eventually be the producer on Overcooked and Yoku’s Island Express, having also contributed to Worms W.M.D. and The Escapists franchise. Emery has recently taken the leap into freelance production and is assisting indie developers in finding publishers and consulting on projects. 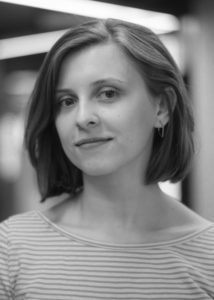 Olia Fadeeva joined Riot Games UK in 2018, after four years at Wargaming as product manager where she was the link between the dev team and the players. At Riot, she has quickly become indispensable, her co-workers told us. 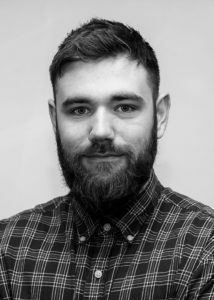 After a six-year stint at Team17, where he had a hand in numerous big-name projects including Overcooked, Worms and The Escapists, Dan Foster joined indie label No More Robots in November 2018, providing technical support for small teams. In only a few months, he’s completely rewritten PC title Not Tonight to work across Nintendo Switch, Xbox One and PS4, and has been helping development team RageSquid with Descenders’ online multiplayer aspects. 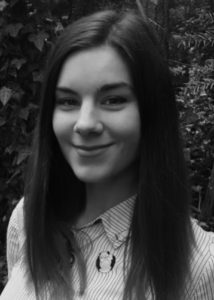 Determined to be a career advocate for QA, Holly Gordon started her career in games at Sony Interactive Entertainment in 2015, before landing her first onsite tester role at Guerrilla in Cambridge in 2016. 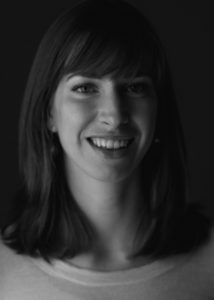 A master of multi-tasking, Anne-Lou Grosbois-Favreau is PQube’s marketing team leader, managing some of the firm’s most successful products such as Cat Quest, while also being its event manager and its voice on social media. Going fresh into the games industry three years ago, not long after her move to the UK from Paris, she has since risen through the ranks, being promoted time and again to tackle bigger and bigger projects. She is known for her creativity and determination to make her products a success, hiring cats for a marketing stunt, or dressing up as an octopus for a trailer. “From a farm on Wales, to games university course, to start-up game studio, to an investment from Square Enix” is how David Jones’ career so far has been summed up to us. 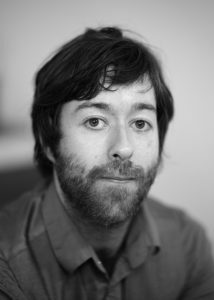 Jones is one of the founders of Bulkhead Interactive, where he designed, wrote and programmed critically acclaimed title The Turing Test. Jones helped the studio grow from six students in a room to a 35-strong team with multiple studios in different countries – a growth that ultimately led to an investment from Square Enix. 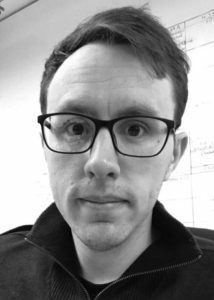 After graduating from the University of Worcester with a Bachelor’s Degree in Journalism, Greg Lockley started his career writing for PCR and then MCV. In June 2014, he made the leap into online retail, joining Fanatical (then known as Bundle Stars). Through “hard work, dedication and a willingness to learn,” as his colleagues have told us, Lockley has quickly risen from the role of licensing executive to business development manager. 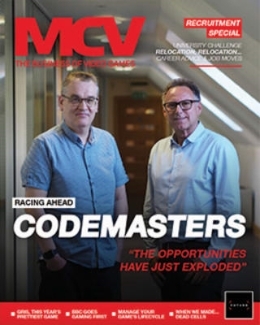 Working with external developers and publisher partners to create exclusive deals and bundles for Fanatical’s rapidly growing global customer base, Lockley’s work is said to have been instrumental in the growth of the retailer’s product range. George Osborn has had a successful multifaceted career in the industry so far. 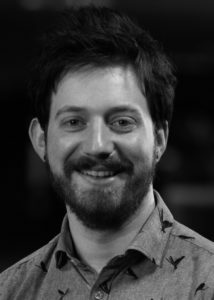 Having begun his career as a journalist with bylines appearing in The Guardian, Eurogamer and GIBiz, he’s also collaborated to broadcasts for BT Sport, BBC and BAFTA and successfully organised business conferences such as PG Connects in 2015 and Games Forum London in 2018. On top of that, he co-founded Games4EU, a grassroots movement to fight against Brexit, is an ambassador for SpecialEffect, created charity event Gamerbake and still found the time to become Ukie’s 30 Years of Play campaign manager this year. 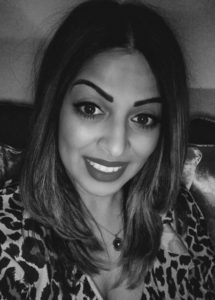 Ria Patel worked at Microsoft/Xbox for over a year before joining Square Enix in 2015 on the marketing team, working across a bunch of major titles including Final Fantasy XV, Rise of the Tomb Raider, Dragon Quest Builders and Kingdom Hearts 2.8. “Antonela Pounder would hate to be on this list,” one of her supporters jokingly told us – so not only are we putting her on the list but we also want to reveal that she’s been one of the most nominated people of this year’s 30 Under 30. With previous experiences at studios such as Ubisoft Reflections and NaturalMotion since her debut in the industry in 2012, Pounder is now the spearhead of 505 Games’ community management team, having been promoted to this position a year ago and now working on a global scale, taking leadership on the company’s social guidelines and training new CM across the world. Passion, enthusiasm, never failing to impress, will to go above and beyond, drive, compassion and inspiration are only a few of the many things that her peers have told us about Antonela Pounder. 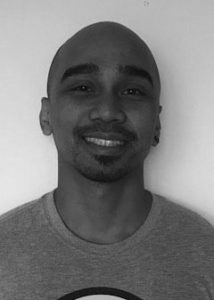 Concept artist and illustrator Kirk Quilaquil most notably worked on Sea of Thieves, on top of a successful freelance career, before joining nDreams last year as part of its growing 2D team. 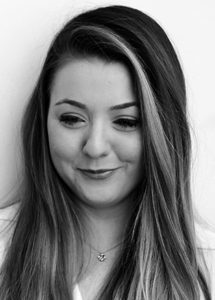 Having worked in the gaming industry for just over three years, Ruby Rumjen just joined Warner Bros as international PR manager and is now responsible for eight different territories in Europe. 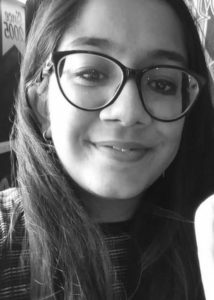 Rumjen started her path in the games industry at Rubber Road back in 2015 after a few years in tech and finance and worked at Bandai Namco as its UK and Ireland PR manager for almost two years, executing an array of creative ideas and strategies. We’ve been asked to add Daniel Scales to the “list of people who should be considered a national heritage” but we only run 30 Under 30 so here he is. 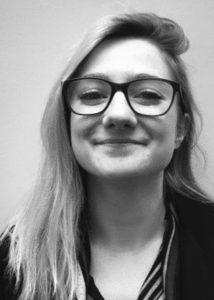 BAFTA Games Crew member Sophie Smart has worked in the games industry for the last five years and has released multiple games in that time, including Kingdom Two Crowns and BAFTA nominated Gangbeasts at Coatsink, having previously worked at Hammerhead VR for nearly three years. 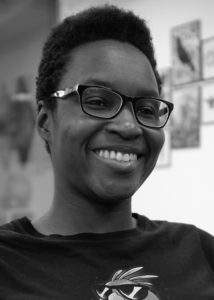 She also actively works with women and queer people in games, supporting them with their first steps into the industry and has ran multiple workshops for Stemettes, an organisation that helps young girls into STEM based subjects. 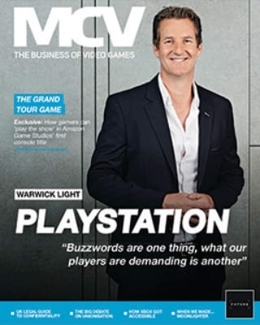 We received so many nominations for Danny Sweeney that the word count could have filled two pages of MCV. 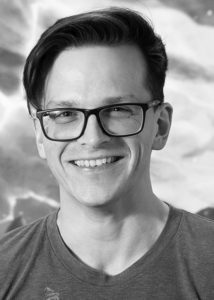 Described as “an essential member of the character team at Creative Assembly,” Sweeney joined the studio in 2014. “Hardworking, passionate and totally dedicated to his work,” Sweeney has made an impact not only inside CA but also outside, with one of his characters used as part of a tutorial in 3D Artist magazine and another of his models added to the game as a Make-A-Wish Foundation wish. A speaker at various events such as EGX, he’s also involved in school outreach to help teach and lift young potential game makers up. 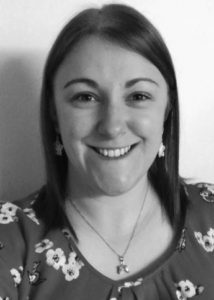 Starting in the industry as an intern at Sumo Digital as a motion capture animator on Hitman 2, Abbie Willett’s proactive attitude led to taking on the day-to-day responsibilities of running the Sumo animation team and becoming an integral part of the development of Hitman 2. Her colleagues at Sumo have told us that she strives for quality, always going the extra mile, not taking “that’ll do” for an answer and excelling in leadership despite being a junior. 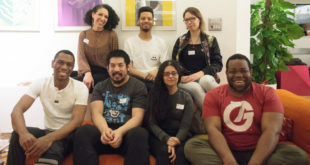 Part of the BAFTA games crew, Willett also strives to inspire young game designers and gave her first industry talk at the Yorkshire Games Festival this year. 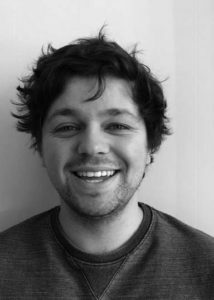 Jonathon Wilson joined the industry in 2013 as level design and QA intern at Nosebleed Interactive. 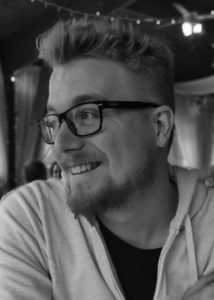 He joined Coatsink in 2015 as a junior designer and worked his way to a design lead before moving over to Pocket Money Games in August 2018. His “commitment to aiding young and fresh talent is inspirational,” one of his supporters said, with Wilson being involved in organising game devs meetups in the North East, delivering talks at Unite Berlin 2018 and EGX 2017 and volunteering to give portfolio reviews. Wright has single-handedly unified all Mediatonic’s projects into one single build system and she has been so successful in her role that the firm had to invent an entirely new role within the studio for her – build master. 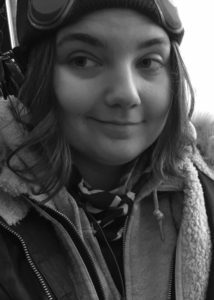 Despite a relatively short four and a half years in the video games industry, Lana Zgombic has helped produce seven games in that time, including Chilled Mouse’s Warhammer Quest and Chime Sharp, 22cans’ The Trail: Frontier Challenge and Bossa Studios’ Surgeon Simulator CPR. 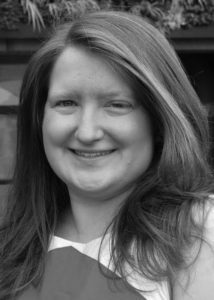 She’s also sat on the jury for several BAFTA Games Awards (on top of being a member of the BAFTA crew), volunteers as a STEM Video Game Ambassador and has organised the Guildford Global Game Jam three times running. 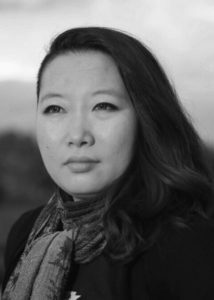 Having worked in the games industry for over a decade at the likes of Realmforge and Ubisoft, Lily Zhu has shipped numerous PC and mobile titles including Assassin’s Creed Identity. Since joining Splash Damage in 2016, she “has made the transition from passionate artist to inspiring leader,” her colleagues have said.